At XTAR, social responsibility means taking action. While we may never meet the soldier in the field that relies on our communications, we never lose sight of the importance of our job, or theirs. Honor Flight Network is a non-profit organization created to honor US veterans for all their sacrifices. Honor Flight flies these heroes from their hometowns around the nation to our own hometown of Washington, D.C. to visit the memorials erected in their honor. 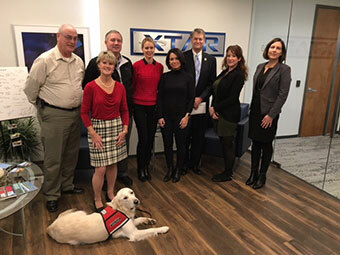 XTAR has made a donation to the Honor Flight Network with plans to greet an Honor Flight in the spring of 2019. To learn more about this fantastic organization, please visit their website. 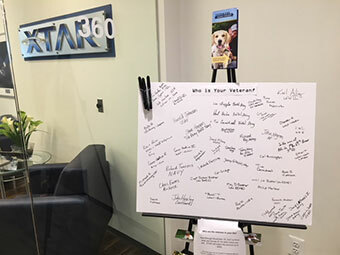 For Veterans Day 2017, XTAR remembered the veterans that are important in our lives, writing their names on a board in our office. In their honor and memory, we donated $975 to Veterans Moving Forward. 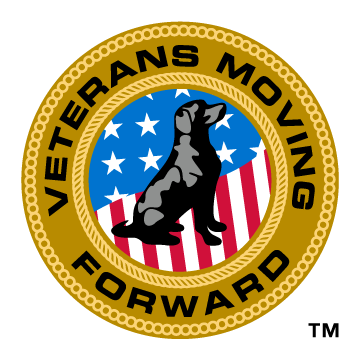 Veterans Moving Forward is a Dulles-based organization which provides service dogs and canine therapy services to veterans with physical and/or mental health challenges, at no cost to the veteran.